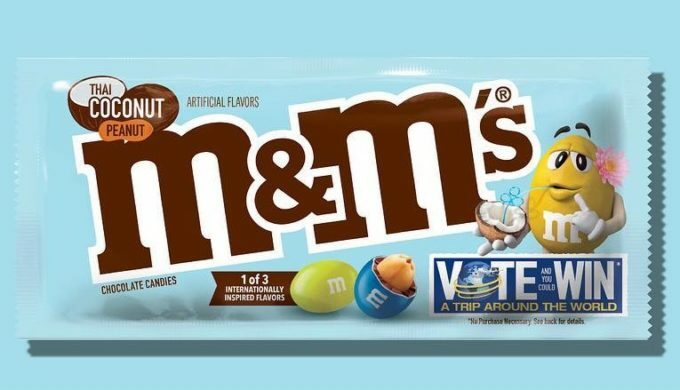 You Can Now Vote for New M&M’s Flavors: Where’s My ‘I Voted’ Sticker? 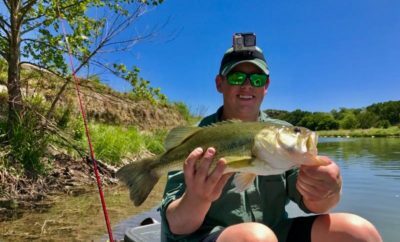 M&M’s has released some new flavors, and fans are going nuts for them! With the three new offerings, the company has tried an international take on what they think followers would prefer, including Mexican Jalapeno Peanut, English Toffee Peanut, and Thai Coconut Peanut. 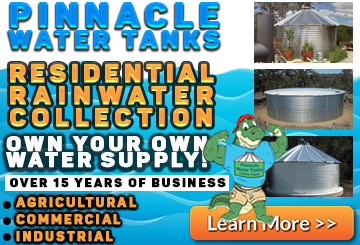 The feedback they’re receiving, together with the social media coverage, is a marketing dream come true. It’s not the first time the company has successfully launched new flavor selections, but it will be the first time one stays for good! With each package, purchasers are invited to vote for which of the three flavors they like best. Tasters have the opportunity to cast an online vote at www.flavorvote.mms.com or by texting the word “Vote” to 84444. Voters can do so once per day until May 17. Once all submissions are tallied, the winning flavor will be announced in August and will continue as a tried and true U.S. flavor of this classic chocolate candy. In the spring of 2018, M&M’s released Crunchy Espresso, Crunchy Mint, and Crunchy Raspberry flavors for fans to choose from. Crunchy Mint won but was only sold for an extended period after voting closed. The packaging for each of the new M&M’s international flavors features the company’s “spokescandies” donning headwear that reflects the concept behind each flavor. 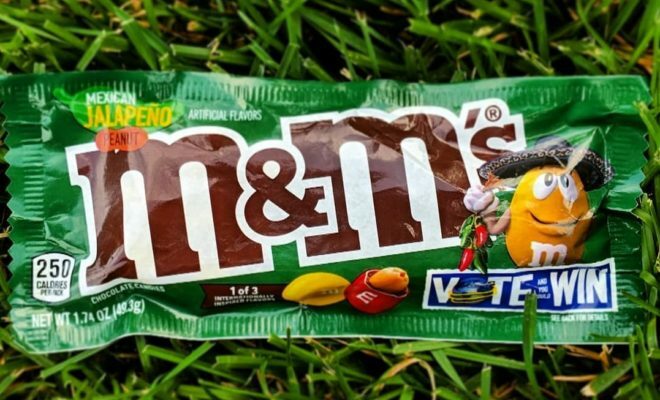 The Mexican Jalapeno Peanut M&M is wearing a sombrero. The English Toffee Peanut dude wears a black trilby with a small British flag attached. And the Thai Coconut Peanut M&M is wearing a flower behind its ear. 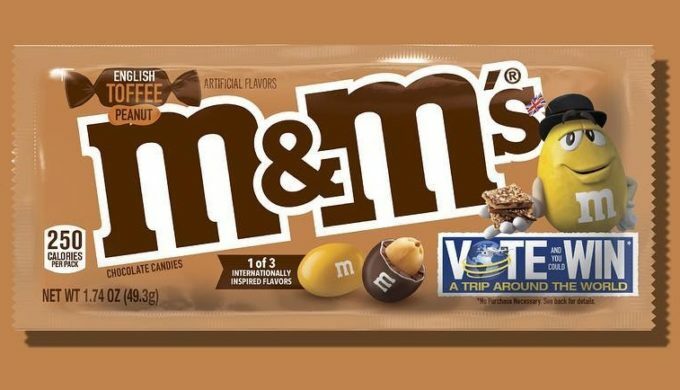 Allison Miazga-Bedrick, M&M’s Brand Director, said, “We believe flavors have the power to transport you and… we are making that journey a reality by offering participating fans the chance to win a trip around the world.” With a little incentive such as this, there isn’t anything stopping tasters from voting!